A New York man running a nationwide scam charged a Santa Barbara restaurant more than $900 for a phony fire inspection. 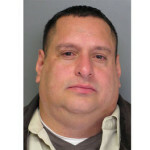 Michael Angelo Carrion, 47, is accused of posing as a fire inspector and scamming businesses in Atlanta, Georgia and Austin, Texas, as well. Carrion is currently in custody in New York for unrelated charges. Carrion conducted the phony inspection in a north side Santa Barbara restaurant on October 4, according to the Santa Barbara Police Department. A crime lab technician identified Carrion using fingerprints from the scene. Carrion, who also goes by the alias of Nicholas Angelo, told an on-duty clerk at the restaurant that he was a Santa Barbara city fire inspector and proceeded to spend several minutes examining fire extinguishers. After Carrion conducted the phony inspection, he spoke over the phone with the restaurant manager, who authorized the clerk to pay him cash from the register. The next day, a California Highway Patrol officer arrested him in Los Angeles. Officials in New York then demanded that he return to the state. Carrion will face charges in Santa Barbara when he is cleared to leave New York. How coincidental, The Sate of Californian now has a fony fire tax they are calling a fee. Only in New York? Not. I admire the guy. He is nonviolent and moves on. Can’t speak as highly of the government. Big Bro is always there, getting fatter and meaner. If you love the direction we are going then now is the time to step out, perhaps to Cuba. This guy is about to learn how little the government likes competition when it comes to shaking down the producers. r0y, isn’t it about time you start taking personal responsibility for your unhappiness and quit trying to blame everything on the “government”? Sorry, but the whiney attitude you continually promote, seems to me to be a huge cop-out. Why don’t you step up instead of spout off?